Breed ideas for second dog? I'm 22 and a senior in college. I am going to be renting a one bedroom apartment for the future. It'll just be me and Summer, my four year old papillon. Back home we always have quite a few dogs and Summer is just happier with more around. I'm used to a lot of dogs and am not your typical college student when it comes to pets- my dog is my life. I've grown up with a German Shepherd mix and a field lab. After they passed, my family got into Shelties for a while, then papillons. We've had three shelties and six papillons over the years. I'm very used to papillons and that is an obvious choice for a new companion, but I think after 6 paps in a row, I'm ready for something different (and slightly bigger). I adore herding dogs in general, they're my favorite. Our apartment has a few breed restrictions, but no size restriction. The restricted breeds are rottweilers, doberman, german shepherds, filas, pit bulls, and things along those lines. I'd like something slightly larger than my 6 lb girl. I'm thinking 20-50 lbs ideally. I wouldn't be opposed to something slightly larger or another toy if that works better though. My schedule is pretty flexible. I'm home at random hours to let the dog out to go to the bathroom. I walk Summer already for an hour to an hour and a half a day plus some running time in a field behind the apartment and small training sessions around the house. I also jog 3-4 times a week and a larger dog could go with me, but Summer is too small to keep up. It is imperative this dog gets along well with Summer, so I need something good with other pets. Brushing is no big deal, but I really don't want something that needs professional grooming. And no drooling, that's one thing I can't deal with. Are you open to shelter dogs? We have had TONS of mixes in that size range - from a Rat Terrier, Cocker Spaniel, Poodle, Italian Greyhound, Lab/Cocker, Chihuahua/Rat Terrier, Wheaten Terrier, etc. 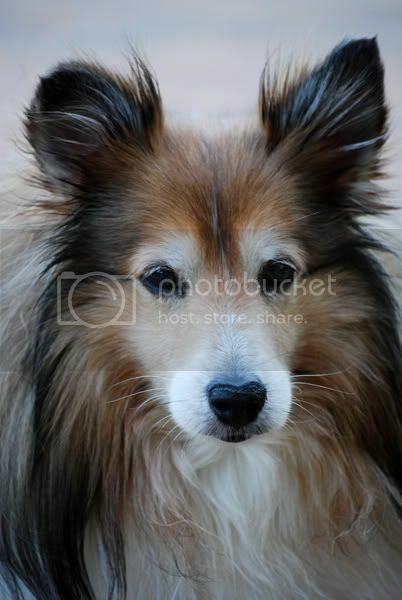 How about a sheltie from Sheltie Rescue? You've had them before and know them. Of course, they are often barkers, which might not work well in an apartment. But if you got an adult from Sheltie Rescue, you'd know about the barking. 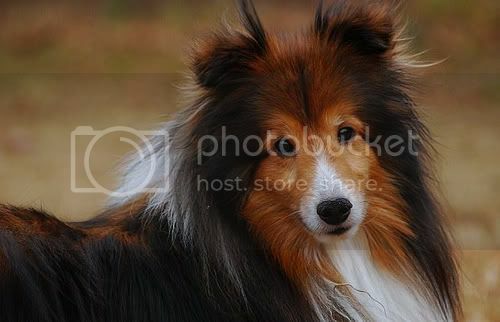 Of course, I'm a big sheltie fan, so I might be a bit biased to the breed. Getting a dog from a shelter of unknown breed might also be a great idea. And you'll be saving a life. How about a Yorki or mini Szhnauzer? Both cute, little shedding at all. That way your keeping it small like the other one. I actually work in the shelter here so that's of course always an option. The only issues with that though is that they will not adopt out anything over 20 lbs to a person in an apartment for some reason. So if it's s smaller dog then that'd work, but if I decide on something larger, then it wouldn't. Shelties and collies have been two of my top choices, actually. I adore shelties. My heart dog was a sheltie and she passed away this summer. I'd had her since I was nine years old. One of my good friends have a sheltie and my parents still have a 12 year old sheltie. They're very good dogs. The only thing I worry about is of course the barking. Tuttles is good about that, but none of mine have been. Trey especially is a big time barker. And my girl that passed away last summer. 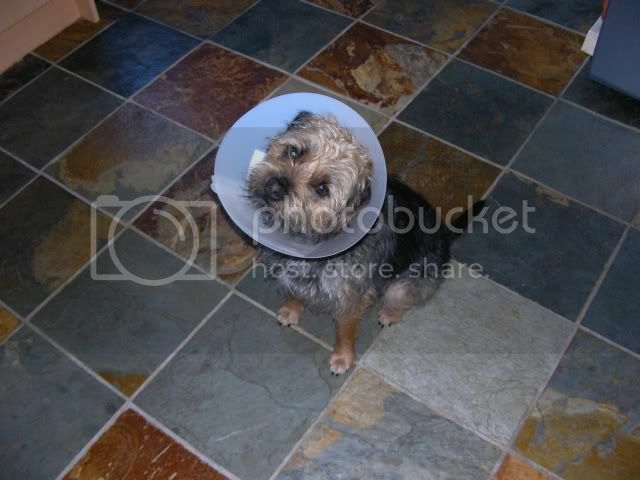 She was just the best dog. I've also thought of maybe an adult border collie mix that is smaller and less active than a purebred border. The borders we get in the shelter are by far my favorite dogs. They're just amazing and very much like Summer only bigger. My favorite herding breeding who are mid size:Pyrenean Shepherd,Border-Collie and Aussie!. I also love the standard schaunzer!.They are very atletic and full of peps!. Last edited by HovawartMom; 12-02-2008 at 01:32 PM.. I would check out the local breed rescues ... how energetic is your 6lb papillion ?? can she handle a high energy dog 3-4 times her size?? but he rarely barks if at all. I cant recommend the breed enough. Jack weighs in at 12 kgs @ 26 lbs. 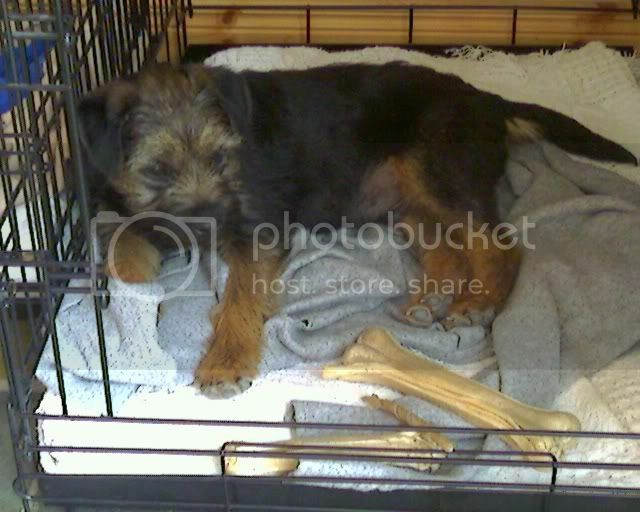 Last edited by Johnny™; 12-02-2008 at 08:53 PM..
One of my friends has two border terriers. Neat little dogs! They're crazy about them. She's very very high energy. Other than our puppy, she's the most energetic. The only problem is she's a very deliberate kind of energy, very intense, and not very playful. She enjoys agility and running and jumping and things like that more than play. She does well with most dogs, but it takes a week or so for her to really warm up to them. Our past sheltie was 4 times her size and they got along pretty well. Our puppy is obnoxious and she puts up with him, though he does annoy her at times. 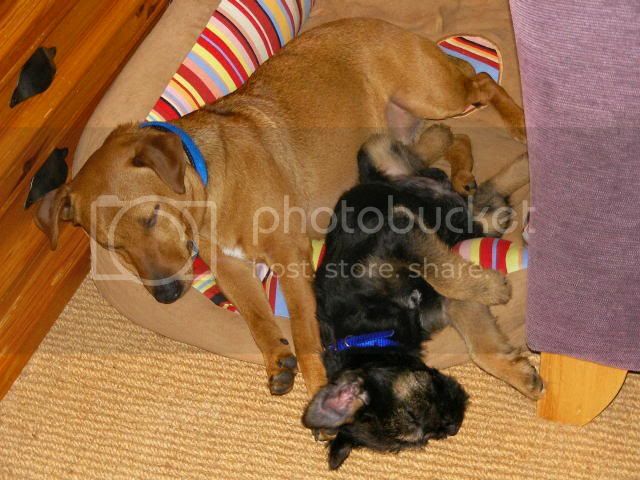 Any new dog would obviously not be loose with her without supervision especially if there is a big size difference.